A very common ecommerce request I get is how to sell event tickets with WordPress. 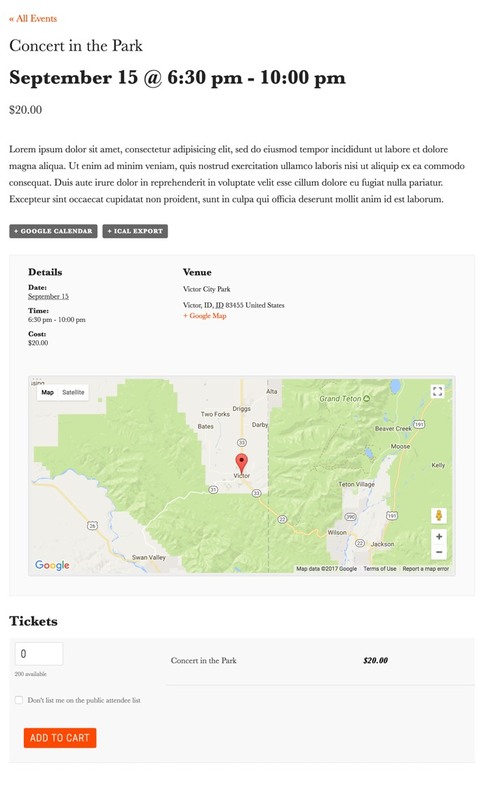 Even though you can sell event tickets with WooCommerce, there is a better solution: Event Tickets Plus, by Modern Tribe. 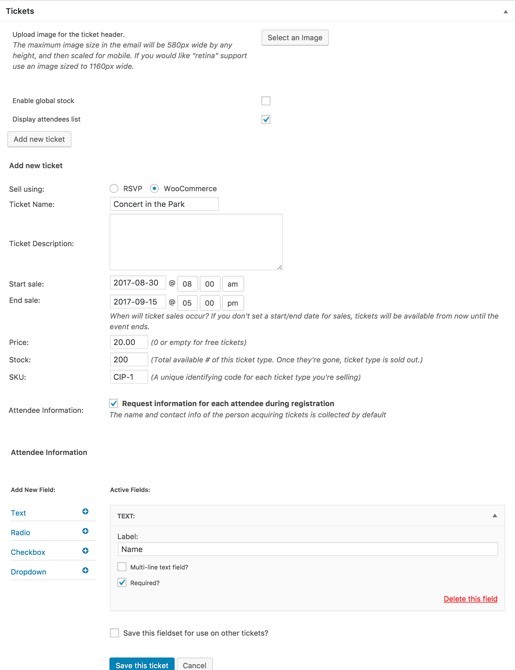 With Event Tickets Plus, the tickets are automatically sent to the user, you can print an attendance list, you can add custom registration fields – eg, name, age, or meal choice, and, if you have an internet connection, you can check people in with the ticket scannable QR code, or check them in with Event Tickets Plus and WordPress. Install and configure WooCommerce. At minimum, you’ll need a payment gateway so you can collect money. The free PayPal gateway included with WooCommerce is the fastest and easiest to set up: all you need is the email associated with your PayPal Account. But you can buy and install many other payment gateways, such as Authorize.net, Stripe, or Square. See the WooCommerce Payment Gateways for a full list. Install The Events Calendar, a free Calendar Plugin by Modern Tribe. If you install The Events Calendar, you can add tickets directly to an event. Go to Events > Settings > Tickets and from Post types that can have tickets, check Post, Page, Event. If you don’t install The Events Calendar, Events will not be available in the settings. Go to Events and create a new event or edit an existing event. 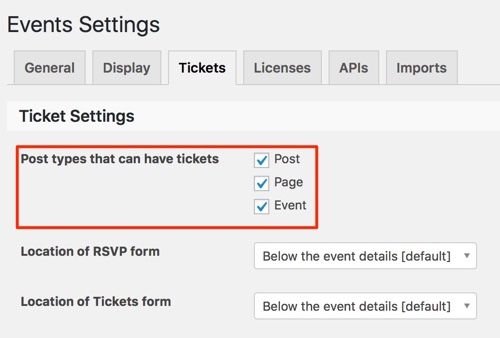 Optional – If you selected Page or Post in the event ticket settings, you can also add Event tickets directly to a page or post. Event Ticket settings are the same for post, page or event. Add the Event settings: name, start and end date, venue, etc. See The Events Calendar documentation for details. Also, when you install The Events Calendar, there is an excellent introduction video you can watch from your WordPress dashboard. Scroll down the the Ticket section and click Add new ticket. This section is the same on a post, page, or an event. Check if you want to display a list of attendees. Select WooCommerce if you want to sell tickets. Enter an Name and Description for the ticket. Enter a start and end date for ticket sales. Enter a Price for the tickets. Enter how many ticket are for sale in the Stock field. If you want to collect additional information, such as name, click Request information for each attendee during registration. You can add text fields, radio buttons, checkboxes, or dropdown lists. Click on the Event, Post, or Page to view the event tickets.